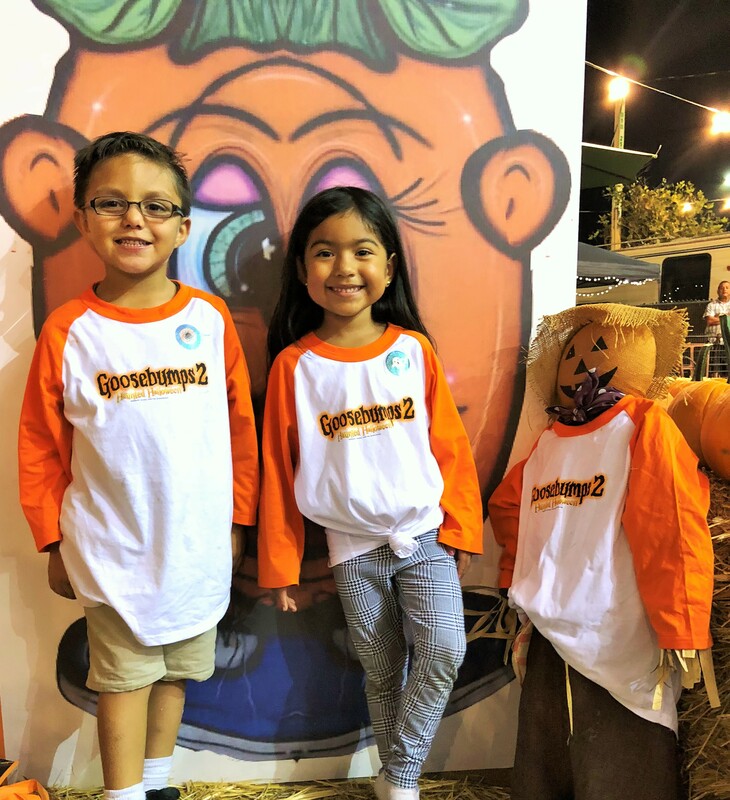 I’m so excited that there is a new pumpkin patch in town! 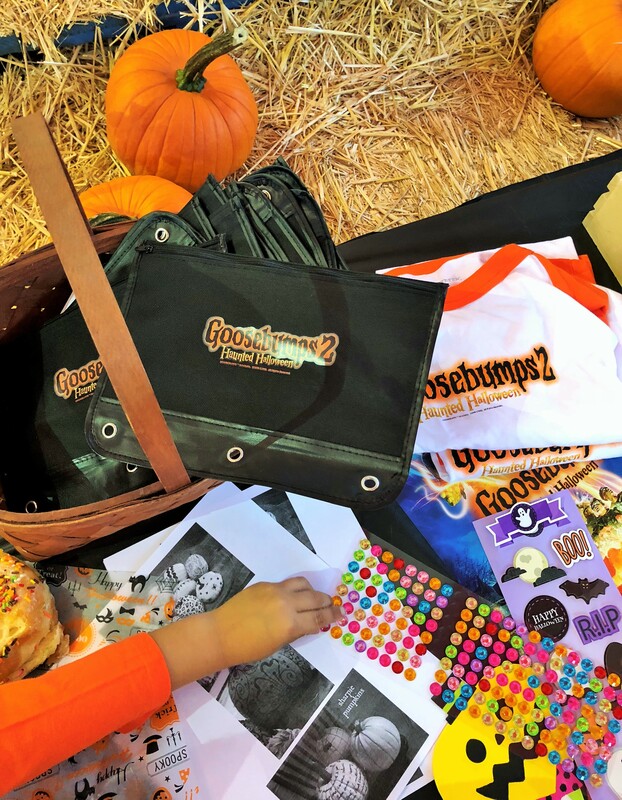 It’s in Montebello, near the Montebello Town Center and it recently became the setting for an L.A Mamacitas party that celebrated the upcoming release of Goosebumps 2: Haunted Halloween. 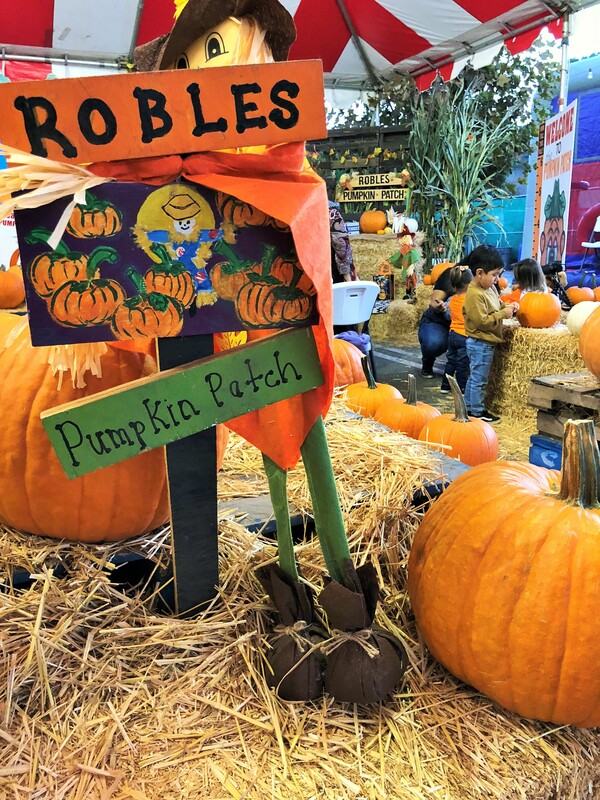 I’ve always wanted to host a Halloween party at a pumpkin patch. Ji is an October baby, so every year, we think about it and we have even gone to lengths to recreate a patch in our home. 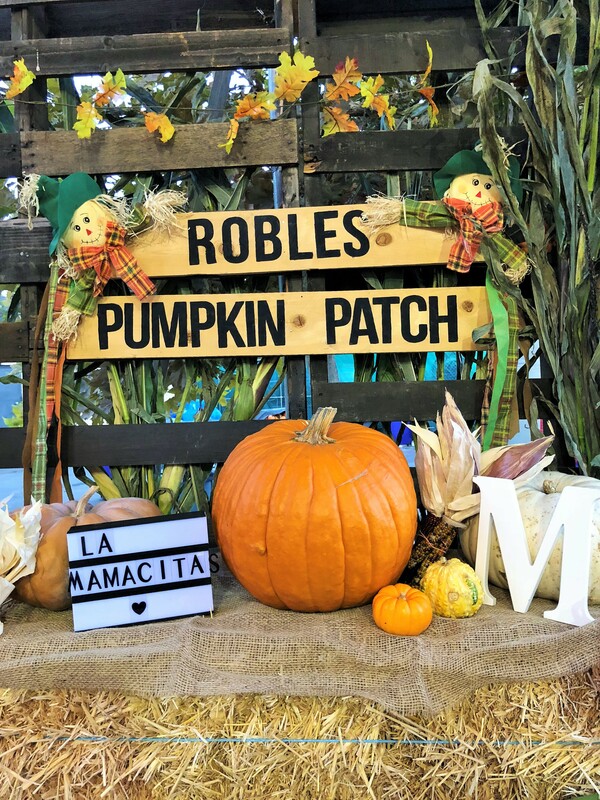 So you can imagine my excitement when I heard about Robles Pumpkin Patch through my friend L.A Momma. 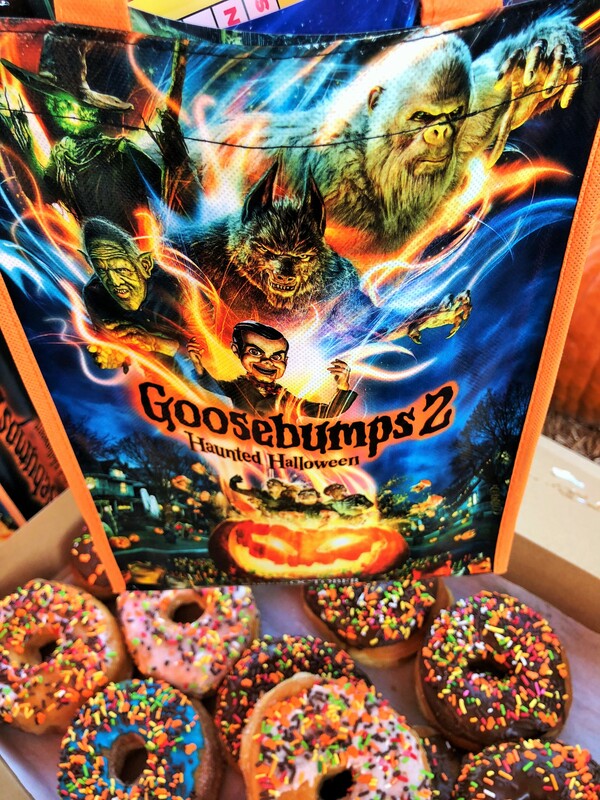 The Goosebumps series was my favorite growing up. I remember going to the library once a week to check out a different R.L Stine book because I would finish reading them so quickly. The stories are so vivid in mind! Ji is a little young to read the books but I’m glad that she’s being introduced to the series through the fun promo event organized by L.A Mamacitas. She’s my appointed assistant and has become quite a great host! 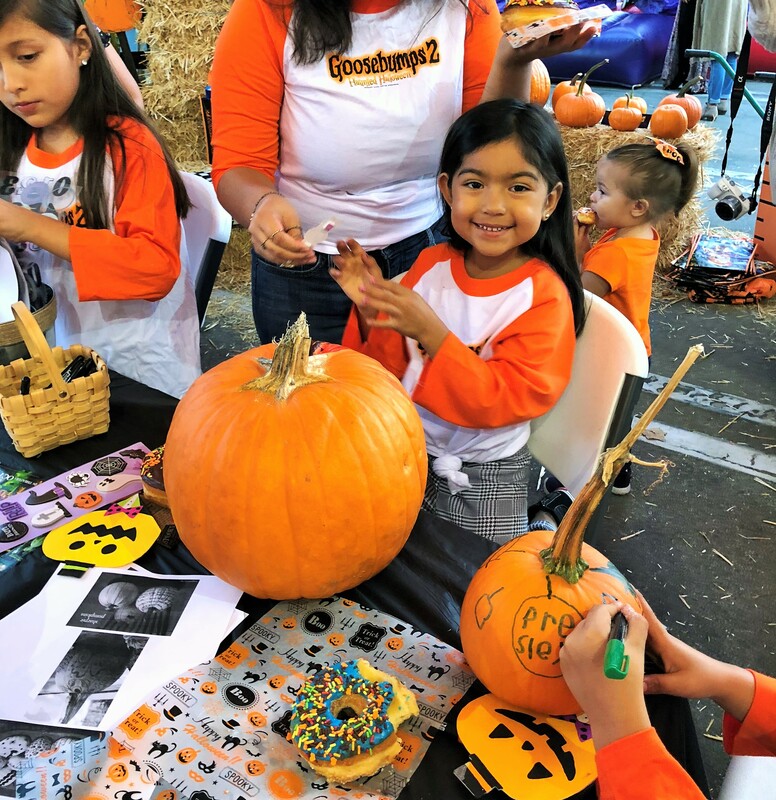 Not only did the kids enjoy decorating the pumpkins that they picked out but they also had a great time in the jumpers, petting the farm animals and eating sweets like donuts! 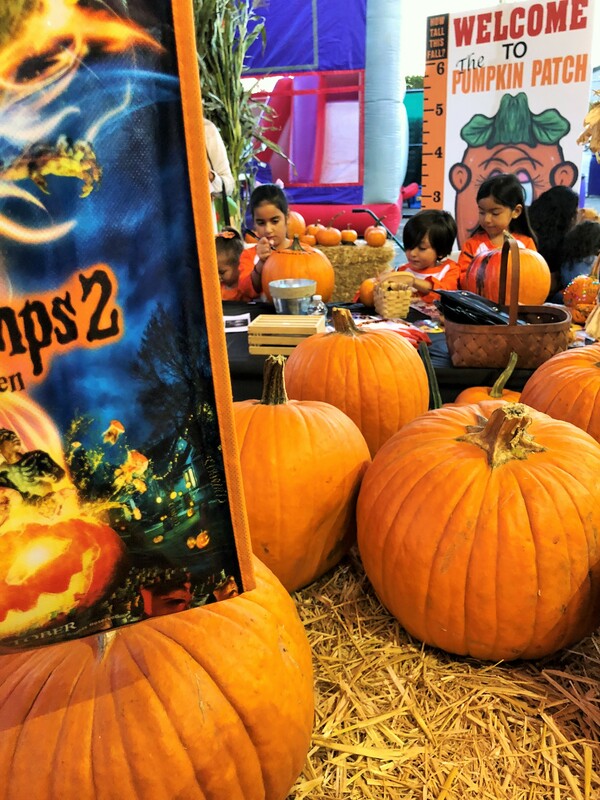 A pumpkin patch was definitely the way to go for this Halloween themed Goosebumps 2 party! 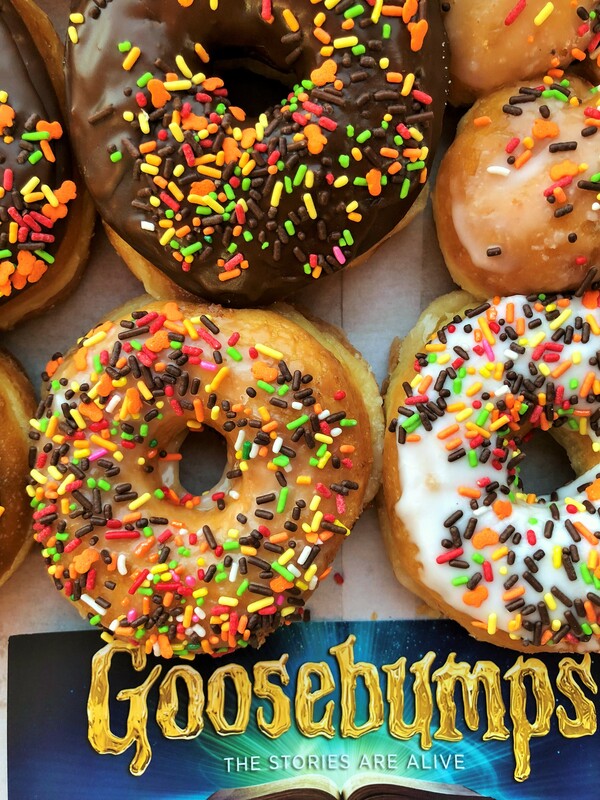 Goosebumps 2 Haunted Halloween will be available in theatres on October 12th! See you there!